ALL POST-LAUNCH MAPS, MODES, AND WEAPONS FREE! Bigger weapons make better friends in Titanfall™ 2, the epic follow-up to the genre-redefining Titanfall. Respawn Entertainment pushes the genre forward once again with a new, innovative single player campaign and multiplayer experience that reaffirms Titanfall 2 as the fastest, most visceral shooter yet. Combine and conquer with new titans and pilots, deadlier weapons, and feature-rich customization and progression system that helps you and your titan flow as one unstoppable killing force. Unite and destroy. Become One. The best way to jump into one of the most surprising shooters of 2016 is with the Titanfall 2: Ultimate Edition. Not only do you get access to all of the content included in the Digital Deluxe edition, this bundle also includes a Jump Start Pack which instantly unlocks all Titan and Pilot classes and arms you with the funds, Double XP tokens AND a custom warpaint skin for the R-201 Carbine to get you up to speed on the Frontier. 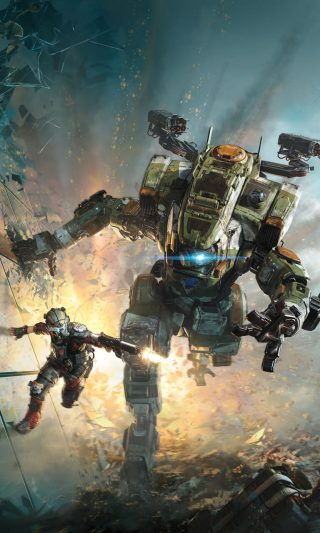 Ultimate Edition includes Titanfall 2 base game, Deluxe Edition content (Scorch & Ion Prime Titans, Deluxe Edition Warpaint for 6 Titans, Deluxe Edition Camo for all Titans, Pilots & Weapons, Deluxe Edition Nose Arts for 6 Titans, Deluxe Edition Callsign), and Jump Start Pack content (All Titans unlocked, all Pilot Tacticals unlocked, 500 tokens to unlock loadouts, cosmetics and gear, 10 2x XP tokens, the Underground R-201 Carbine Warpaint).